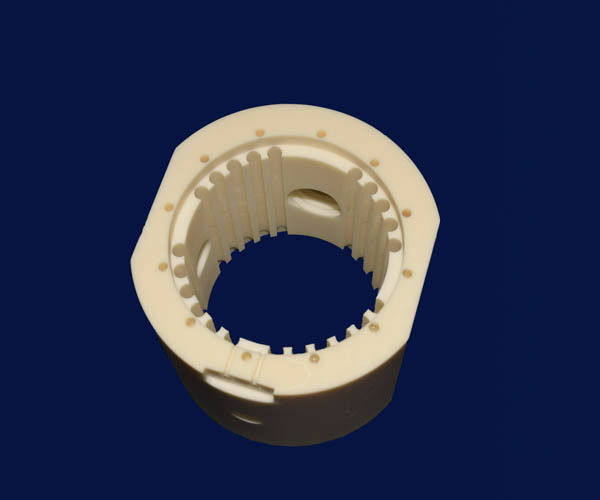 Alumina ceramic is a precision ceramic material with good wear-resistant , and is widely used in all walks of life.The main molding methods of alumina ceramic products are dry pressing, grouting, extrusion, cold isostatic pressing, injection and tape casting. Different shapes, sizes, complex shapes and precision products need different forming methods.e alumina ceramic products sintered at high temperature can only be processed with diamond grinding technology. Alumina ceramic material has high hardness and wear resistance, strong corrosion resistance, high temperature resistance, corrosion resistance and biological inertia. So it can be used as cellphone back plate. According to the use of ceramic pieces of the environment, recommend the best solution for customers. your inquiry or question will be reply within 12 hours except holidays. You can talk with our online sales or contact us by email ,whatsapp,skype or wechat. Most of our powders are imported in order to ensure the strength and toughness of our products. Ming Rui ceramics factory is in close cooperation with well-known suppliers of raw materials, we have modern detection equipment and strict quality control system and strictly follow the quality system ISO certification standards. we will give you quick response to solve your problems at the first time. we also improved our logistics service system so that you can enjoy a one to one intimate service.Each of our product is elaborately packed to insure it is intact when arriving;We cooperate with proffesional logistics such as DHL UPS,Fedex,etc.and offer realtime tracking data to our customers in time. 99% alumina ceramic has the following performance advantages: hardness is close to sapphire, scratch resistance, delicate touch and surface gloss,its weight is 50% as stainless steel material, more scratch resistance and more anti sensitive. The dielectric constant is 3 times as the sapphire, signal is more sensitive, especially suitable for fingerprint identification cover (compared to the 0.3mm iPhone Touch ID sapphire cover, with the same thickness, a higher degree of recognition; or equivalent recognition can be Kehou thin, thick when strength, anti fall will significantly improve). The total cost is only 1/4 of sapphire. Also can be used to realize a mobile phone wireless charging conditions, due to the realization of wireless charging must one cannot use conductive material, that can not use metal material, and 99 alumina ceramics at room temperature is not conductive, is the ideal material.